When you think of scanning, many people visualize loose pages quickly passing through a scanner, which are then turned into digital files. The majority of the time it happens exactly like that. But what about when a client has a book or bound material? In the past, the pages would need to be removed from the binding and the pages digitized through the scanner. At Pinetec, we don’t have to remove the spine of the publication — we turn to our custom-built scanner, the Archivist. 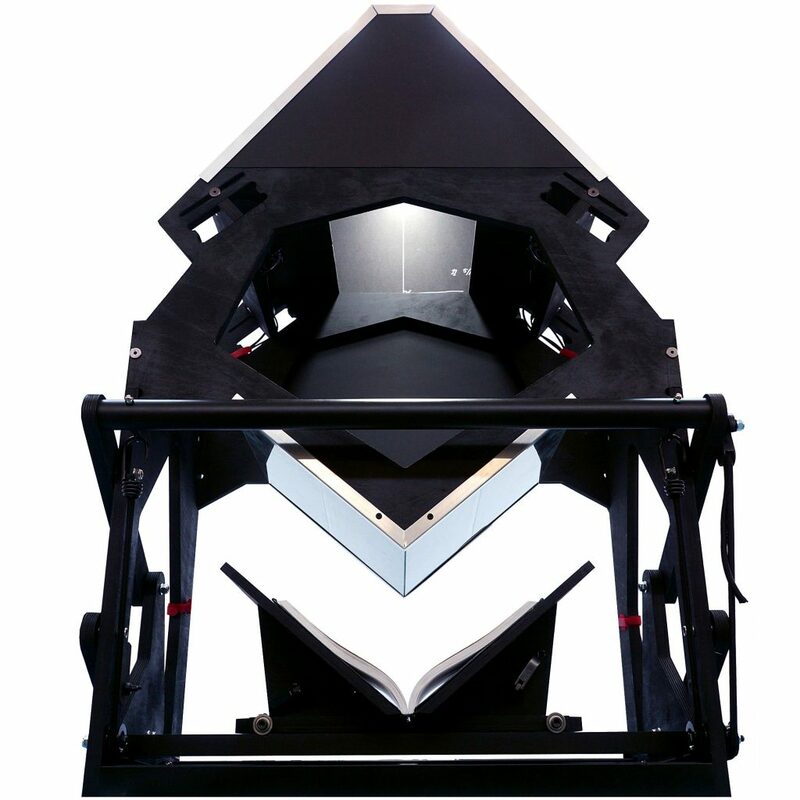 The Archivist is Pinetec’s unique non-destructive scanner, meaning that the spines of books and periodicals do not need to be destroyed or even compromised to be able to scan the pages bound to them. To do its job, the Archivist depends upon three elements — lighting, camera and glass — to work in tangent to provide the means to digitize a book. This is housed in the upper part of the scanner. Underneath, a cradle is positioned where the book is placed, with the cradle then “lifting” it up to the glass. As the book meets the glass, the pages are flattened and a hi-res image is taken, becoming a digital file. Books can be thick or thin, and the cradle can be adjusted to accommodate books up to 12 x 15” (30 x 38 cm). Capturing color images is problematic on other non-destructive scanners. Not for the Archivist. The scanner features some of the most advanced LED technology available, with colors that accurately match the originals. We are pleased to provide options for our clients when they have bound materials they want digitized. They trust our scanning technicians to provide customized and superior service, whether they are digitizing bound reports or handling centuries-old historical books. Learn more about the Archivist and our other specialized scanning services.